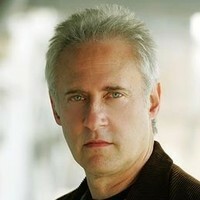 Brent Spiner, whose primary claim to fame is his portrayal of the beloved android Data on the television series "Star Trek: The Next Generation" (1987), was born and raised in Houston, Texas. His parents, Jack and Sylvia Spiner, owned and operated a furniture store. Jack died of kidney failure at age 29, when Brent was 10 months old. When he was 6 years old, his mother married Sol Mintz, who adopted Brent and his older brother Ron. Although his mother divorced Mintz after 7 years of marriage, Brent retained his adopted father's last name until 1975 when he took back his birth name. Spiner first began pursuing his interest in acting while in high school. There his inspirational drama teacher, Cecil Pickett, gave a great start to the careers of a remarkable group of aspiring young actors (and directors), including Spiner, Cindy Pickett (Cecil's daughter), Randy Quaid, Dennis Quaid, Trey Wilson (I), Robert Wuhl and Thomas Schlamme (I), all of whom later attained success in Hollywood. After graduation, Spiner followed his mentor to the University of Houston and other local colleges, while also launching his professional acting career in theater (The Houston Music Theater and other regional theater) and in film (My Sweet Charlie (1970) (TV), which was shot on location in Texas). After a couple of false starts in New York and Hollywood, Spiner eventually established himself as a stage actor in New York, appearing in a number of off-Broadway and Broadway plays, such as 'A History of the American Film' (1978), 'Leave It to Beaver Is Dead' (1979), 'Sunday in the Park with George' (1984), and 'Big River: The Adventures of Huckleberry Finn' (1985). While in New York, he had a bit part in Woody Allen's Stardust Memories (1980) and starred in an independent film called Rent Control (1984). The play 'Little Shop of Horrors' brought Spiner to Los Angeles in 1984, where he eventually took up permanent residence. In 1986, after a number of character parts in television series and movies, such as "Robert Kennedy & His Times" (1985), Crime of Innocence (1985) (TV), Manhunt for Claude Dallas (1986) (TV), and Family Sins (1987) (TV), Spiner snagged the role that would bring him international fame: Data, the endearing android, whom Spiner played "by tapping into his inner child." "Star Trek: The Next Generation" (1987), the sequel to the original television series "Star Trek" (1966), became hugely popular, moving to the big screen for four films (so far) after its 7-year run on television. Aside from these films, Spiner has made cameo appearances in a number of films directed by his friend and old schoolmate Thomas Schlamme (I), such as Miss Firecracker (1989), Crazy from the Heart (1991) (TV), and Kingfish: A Story of Huey P. Long (1995) (TV), and has appeared in small roles in more recent films, such as Dude, Where's My Car? (2000) and The Master of Disguise (2002). 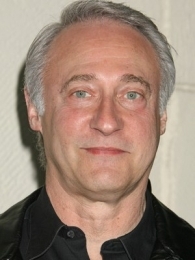 Arguably his most popular film portrayal was Dr. Brakish Okun in Independence Day (1996), a role that elicited his unique eccentricity and sense of humor. His character, Lt. 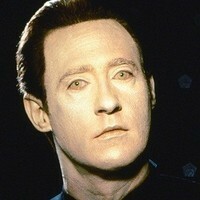 Commander Data's "Intriguing!" line went down in Trek history as replacing Mr. Spock's world-famous "Fascinating!" line. When added to the Broadway cast of "Big River: The Adventures of Huckleberry Finn," he replaced another future Star Trek actor: 'Rene Auberjonois' (qv). Has a son named Jackson born June 29, 2002. Has played five different members of the Soong family on "Star Trek": Lieutenant Commander Data in _"Star Trek: The Next Generation" (1987)_ (qv), _Star Trek: Generations (1994)_ (qv), _Star Trek: First Contact (1996)_ (qv), _Star Trek: Insurrection (1998)_ (qv), _Star Trek: Nemesis (2002)_ (qv), and _"Enterprise" (2001)_ (qv); Dr. Noonien Soong and Lore in _"Star Trek: The Next Generation" (1987)_ (qv); B-4 in _Star Trek: Nemesis (2002)_ (qv); and Dr. Arik Soong in _"Enterprise" (2001)_ (qv). Data, Lore, and B-4 were all androids made in Dr. Noonien Soong's image and Dr. Arik Soong was his great-grandfather. Along with 'Jonathan Frakes' (qv), 'Marina Sirtis' (qv), 'Michael Dorn (I)' (qv), 'Colm Meaney' (qv), and 'Jeffrey Combs' (qv), he is one of only six actors to appear in the series finales of two different "Star Trek" series (_"Star Trek: The Next Generation" (1987)_ (qv) and _"Enterprise" (2001)_ (qv)). Played a fictional character (James Campbell) in _"Friends" (1994)_ (qv) and himself in the spin-off series _"Joey" (2004)_ (qv). He was a groomsman at 'Marina Sirtis' (qv)'s wedding, and served as Best Man at 'Patrick Stewart (I)' (qv)'s wedding.